I have a question for you all? Epilepsy…..How good are you at telling the real seizures from the pseudo? I had a job the other week where I was called to a female? fitting in the street. When I got there, she appeared lucid, alert and orientated. There had been no incontinence, she did not appear post ictal (confused) in any way and was able to walk unaided to the rapid response car for further assessment. In this case, I was sure that she was ‘faking it’, for use for use of a better word. However, she did a really got job of making it look like a true tonic clonic seizure, apart from keeping her eyes tightly closed throughout and her movements were just a little to co-ordinated. It transpired that she had a daughter who is actually epileptic so she has had ample opportunity to see what a real fit looks like. I also understand that there are a multitude of different variations of epilepsy ranging from absences to partial seizures to grand mals and a myriad of others in between. I think I am good at spotting the real from the not so real, but I sometimes wonder if I have ever assumed that the patient was faking it when in reality, they had some odd type of epilepsy which manifests itself in a strange way, and with no confusion following it. I think it’s time to read up a bit, or try to get to speak to a neurologist about it. Any of my readers a neurologist??……No? Oh well, worth a try. It all reminds me of the first experience of a pseudo fitter I had with a paramedic colleague, Rob, when I first started in the service. Picture the scene…. We arrive and move from the ambulance and walk into the centre of a large park where a group of about 10 youths, aged from 14-17 are standing around one of their mates who is currently thrashing around on the floor as if being electrocuted from all different sides. Even as a brand new advanced tech, it was easy to see that he was giving it his all in his portrayal of someone having a grand mal seizure. Friend 1: “Help him quick! You gotta help him!! He’s dying. Rob walks over and takes one look at him then turns back to his friend and puts his hands in his trouser pockets and shrugs. Friend 1: “What are you doing?? Help him!! He’s gonna die unless you do something. I still smile when I remember that job. Rob had such a deadpan sense of humour, he just delivered the line so well. The ‘patient’ very shortly afterwards suddenly came round, dusted himself off and walked off with his friends. That one was a definite, but are all the ‘fakers’ really faking? That is my question to you. How can we really be sure in each and every case? 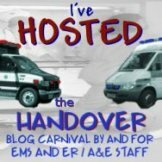 « The Handover Blog Carnival – Closing Down….. I wonder the same thing, Mark. I have not seen a patient present with a real seizure (I believe anyway) and I'm worried that I won't recognise it as one, or think a pseudoseizure (?) is a real seizure. And I haven't yet figured out how to 'fix' this so I can recognise one everytime, bar as you mentioned and know and document they signs and symptoms the patient exhibits. i, too wonder these very same points…on a lighter note: “he's being a very naughty boy.” made me laugh so hard i threw up. it was THAT great! haha… still laughing! I had on the other day on a frequent flyer that always has unwitnessed EMS siezures and is never PI when we get there (but they live 15 miles out too).Granny says “see! she's having another siezure,” as the girl continually pulls the only arm I'm trying to stick a needle in to her core. So I ask granny, “is that what all of her seizures look like?” And granny says, “yes. that's pretty much it.””Granny, that ain't a seizure…”Great post. I'm still new as an SJA ETA, but I know I've seen one genuine seizure, but ironically that was when I was off shift. On shift, I may have seen one other genuine one, but I can't be certain. It's definately very difficult to tell and something I certainly need to do a lot more reading on. Great post. I'm about nine months away from graduating paramedic school and we just covered neurology before we went on spring break this last week so this was a great read to finish the chapter up with. I have actually had numerous real seizures as well more than a few who were, shall we say, “requiring attention”. We actually have a patient in district who was born with a genetic disorder that causes him to have seizures (not epilepsy) and a few folks that are medicated epileptics. But I have also dealt with a number of patients who just had a “seizure” because they were just popped by the police for drunking (drinking & driving) or other activities. The words “guess we'll have to use our largest needle on this one” or “We have a tube we can jam down their throat to help that” usually do wonders to have them realize what they're doing isn't very nice. But my favorite still has to be the girl who STOPPED mid-fit when the ER nurse said “ENOUGH! Knock that sh** off”. Classic. Great post, Mark. I've never worked outside of California, but I'm guessing that every medic in an urban/metro system eventually encounters that call. I've seen partners handle the same circumstance very differently, sometimes based on knowledge and experience, and sometimes tragically based on burnout and fatigue.I always try to over-triage if there is any question. If I'm not sure, I give the pt the benefit of the doubt, and at least don't chastise them during their performance. With the strange atypical seizures that you mentioned, that are at least common enough for us to occasionally encounter, there's only one way to be sure; portable EEG. A patient can be the best actor in the world, but brainwaves don't lie. The technology exists, and is used in other areas of healthcare, just not EMS.The day will come when our cardiac monitor, EEG, portable ultrasound, blood analyzer, other diagnostic tools and the charting computer will all be integrated into something nearly pocket-size, like a Star Trek tricorder (Geek? Yes. ), and we'll all be educated and trained to use them. People scoffed over the idea of a telephone, a TV, a VTR ( a what? ), a stereo, and a personal computer all being the same posket-size device, that wouldn't need any wires to hook it up, and could store every song and movie you've ever heard or watched or even wanted to, and guess what – I'm bloggin on one right now. I can't wait to see how the technology changes over the next few decades.Where I work we have a frequency of “acute mood disorders” that tend to have higher prevalence among certain ethnicities, which of course lends them the same kind of inappropriate and derogaatory acronyms and nicknames that medics tend to assign things. Anyhow, it seems that the most effective treatment for these emotional emergencies also tends to work on many pseudo-seizures; remove the audience, and the performance stops. If not, then like a crying baby they'll stop eventually, or you'll find out that they have tourette's syndrome or a brain tumor and look like a…gosh darn fool…You hit the nail on the head I think though with your mentioning things like patterns of movement, incontinence, facial muscle activity, and other the little hints that without being able to analyze a brain's electrical activity in the field are our best diagnostic tools. Our minds and bodies are very reliable tools, and I hope that even once we get new technology in the field that medics will maintain their ability to assess patients excellently without technology at their aid. I have seen many fake epileptic seizures (and strangly no real ones yet! )My simple way of determining if its real or not is to look at their head, if it is not banging off the ground its not a real fit!The best one Ive had so far was with another partner, the patient in this case I wasnt sure about (it was dark out and I had approached from their feet), they stopped as soon as they heard us call out and my partner decided to put them into recovery position (why I dont know) and I noticed, but my partner didnt, that while rolling him into recovery position the unsupported leg LIFTED off the ground and came over nice and smoothly in an arc and landed in the exact same position you would put the leg in had you used the leg for placing them in recovery position!Needless to say the backup crew cottoned on that the patient was faking, as did the police and the bouncers, my partner didnt! I had epileptic siezures until I was 17. I still take the tablets, but at a very low dose. Having the siezures is, though, not much of a guide.Unfortunately it seems to be genetic. One of my daughters, Kate, (now 28) had many fits when she was younger and still has the occaisional one. One of her sons, 5, has had a few.Kate's fits were usually generalised but they could take many forms. Yes, she had absences and tonic-clonic siezures but the tonic-clonic fits varied considerably. Usually they were the usual jerking, whole body type, but they could also be quite different. One time when she was about 13, she had a fit that involved waving her whole arms about in slow graceful movements. Her legs were trying to follow suit but she was in bed and the bedclothes inhibited her somewhat. She was doing this, on and off, for quite a while. Essentially she was in status but there was no stoppage in breathing.She was taken to the District General and kept in for “observation” for about 10 days. When my wife and I visited, we were told that no, she'd had no fits and she was very well behaved. We noticed that she was having loads of absences, TLE episodes and partial siezures in the relatively short period that we were there. Most of the time she was either in a siezure or post-ictal! It's no wonder she was well behaved.Even nurses with experience and (supposedly) knowing what to look for couldn't even identify siezures, so identifying a real siezure vs shamming can be difficult in some cases (though in others it's blindingly obvious). Squeezey, the one thing you dont have to worry about is recognising a real grand mal seizure. Whenever I see one it is always a pretty shocking sight, and you wont have to worry about if it is real or not. Thanks Justin,Im glad you enjoyed it. Ive used the “THATS ENOUGH!” technique on one of the most obvious pseudo fitters I have seen in a long time, a few months ago.He stopped immediately and did the whole 'where am I?, who am I?' thing.Deep breaths and count to 10……. I always used to do the eye lash touch for many of my 'patients' who were feigning unconsciousness, and always used that as a guide whether it was legitimate or not. Until one of the consultants at my hospital proved to me that it doesn't always work. Thanks for the comment Jake!I like the idea of a portable EEG! !I have a consultant at my local hospital who wants us to start using Ultra Sound Fast Scans in the prehospital environment. Im sure it would be here already if they werent so damn expensive! And that my friend, is EXACTLY the point I was trying to make.I never want to treat someone like they are faking when in reality they are having some sort of rare and unusual seizure activity.Thank you very much for sharing that. Thats a big question Reuven!I dont know why people choose to 'pretend' to fit. But I also know that some patients who are pseudo epileptics dont even realise that they are doing it either. Its a mindfield. I recall seeing an article in JEMS about a small EMS system in the US using portable ultrasound fast scans in the field. I think it was somewhere in the midwest, possibly Ohio. I'll look for the article. The medics all got special training from physicians in how to interpret the images to look for findings in trauma patients that would justify trauma pre-alerts. I think it was supposed to be a trial study to see if it had an effect on over-triage and under-traige of trauma activations. Of course the cost is the biggest issue. It will be a long time before most of us will ever see them. I saw a neurologist who was convinced that my seizures were Psychogenic in nature (without ever having witnessed any or done an EEG). I was referred to psychiatric services to try and discover the root cause of my “Psychogenic seizures”. Had the neurologist done an EEG before assuming they were Psychogenic he would have discovered that my seizures are not psychogenic, but epileptic in nature. This was only picked up when I moved into a different health board and an EEG was ordered. I’m now on medication which would appear to be controlling them (last seizure was 4 months ago) – so, it would seem that it’s not just paramedics who can confuse epileptic and psychogenic seizures, neurologists can as well – so you shouldn’t worry too much! Try raising the arm above the face and letting it fall, if it somehow misses the face they might be faking. However not fool proof. You might look like an arse if you let Mummys pride and joy hit herself in the face while she is having a genuine fit. Didnt happen to me im just saying. my experience of the “fake” fits is that there is usually some arguement between friends prior to the onset of the fit. I have been reading your blog for a while now, and this post made me think of some experiences I have had lately on the ambulance. I just wrote a post on my blog (yes this is a little shameless self promotion) about the seizure calls I have been on, but I guess the brunt of it boils down to this, how can we accurately and safely for the pt tell apart a real seizure from a fake one? I have read some of the other comments, to over triage, and if you aren't sure, then to treat it as legitimate, and I definitely agree with that, but what about the pts who are faking a seizure for attention? If we are fairly sure they are faking it, what would be the appropriate way to handle that (I work with a person who has real seizures, but also fake ones simply for the attention, because they know it is a good way to gain attention)? I actually have a client who has non-epileptic seizures. It is quite interesting as it is definitely not a case of faking it. These seizures present with somewhat different symptoms such as a gradual onset and tongue sticking out of the mouth. They are also frequently associated with PTSD from childhood abuse. I think it`s really intriguing. I have struggled with this problem for soooo long!!!! I’ve been getting help for about 3 yrs now (thank God!). I have a great psychiatrist and support of friends & family. I’ve always thought that there should be some way to educate and inform ER dr’s, paramedic’s, even lifeguard’s (I live in San Diego, CA). This is something I’m ashamed of. It’s so demoralizing and difficult to explain why I’ve done it. I’ve done ALOT more than just faking seizures and ultimately it lead to depression which caused a suicide attempt where i ended up with an emergency trache, bilateral chest tubes and on a ventilator for a while. Where it got tricky for my caregivers is that I don’t have Munchausens (spelled right? )- I just want attention so bad that I will take exreme risks with my health to get it and it’s usually centered around paramedics. For quite a awhile I faked seizures and this is horrible to say but they never could tell because I didn’t make mine be dramatic but rather subtle-where I just stared off straight keeping my eyes open.I have a friend who is a paramedic and I told him I’m sure there are other people who do similar “faking” but he said there isn’t alot they can do about it. I thought at least they could be informed. I continuing to get help to stop this bx because I don’t want to hurt myself or waste anyones time anymore. It’s not fair to the people that really need help. hope this was helpful.